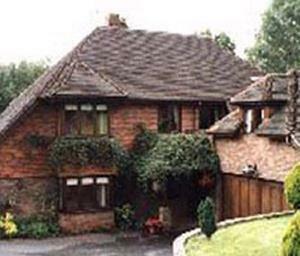 Bathurst01892 665476work Bed & BreakfastBed & Breakfast set in a private road on the edge of Ashdown Forest. Close to the Horder Centre. Bathurst is the ideal base from which to explore varied National Trust and English Heritage properties, gardens, castles and many places of interest. Crowborough Beacon Golf Course close by. Brighton, Lewes and Eastbourne within 40 minutes drive. Bed & Breakfast set in a private road on the edge of Ashdown Forest. Close to the Horder Centre. Bathurst is the ideal base from which to explore varied National Trust and English Heritage properties, gardens, castles and many places of interest. Crowborough Beacon Golf Course close by. Brighton, Lewes and Eastbourne within 40 minutes drive. The first floor self-contained accommodation offers a large twin bedded studio room with en-suite facilities, TV/DVD/radio and Wi-Fi, beverage making facilities, use of fridge. A quality English breakfast, all diets catered for, use of the garden areas, to ensure a relaxing and comfortable stay, a warm welcome awaits you at Bathurst.